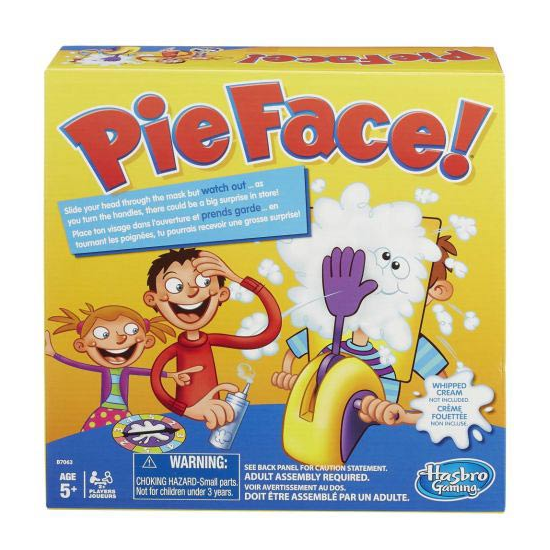 Buy the Pie Face Game for a Night full of Silly Family Fun! Pie Face Game is great for hilarious moments with the family. Made for 2 or more players, age 5 years and and over. Whipped cream is not included, but is needed for game play!